To commemorate World Environmental Health Day this year and its focus on children’s environment and health, CHE is publishing a series of short essays from partners who are leaders in children’s environmental health. Climate change and chemical pollution are serious challenges that require tough decisions, and the solutions will depend on human ingenuity. In other words, we need smart people to help clean up the problems that present and previous generations have created. But counter to this notion, we are promoting toxic chemicals that can damage human brain development. 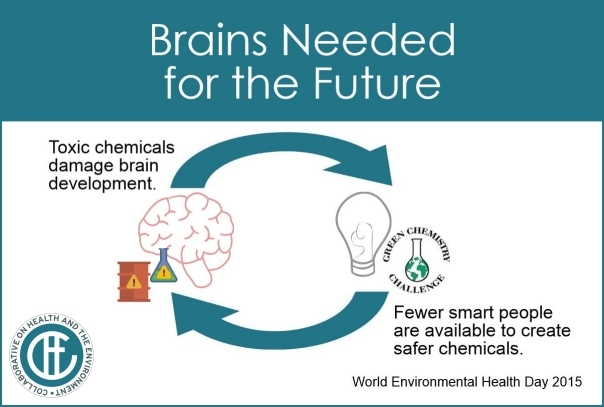 So we are essentially generating a vicious circle: industrial chemicals damage the development of the brains of the future that should have helped us design safer uses of chemicals that would not endanger the nervous system of the next generation. We already know that more than 200 industrial chemicals can detrimentally affect brain functioning in adults. Although we have so far gathered enough evidence only on a dozen or so substances that can damage a child’s developing brain, we know that such toxicity occurs at much lower doses than those that affect the adult brain. Still, only a few of these chemicals have so far been regulated in order to protect the brains of the next generation. The protection of children, and especially poor children, from air pollution and climate change resulting from the massive burning of fossil fuel is an urgent moral imperative. The large and mounting health and economic costs of pollution and climate change necessitate bold policy change. The entire global population is affected; however, the first thousand days of life represent the greatest window of susceptibility both to toxic exposures and stressors from climate change. The developing fetus and young child undergo very rapid development during which time they lack the innate defense mechanisms operating in older children and adults. Thus, they tend to be the most affected both by toxic air pollutants and climate change. 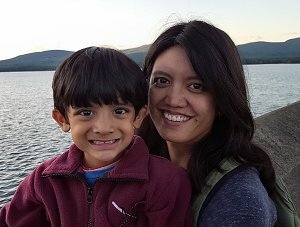 The impacts of exposure to air pollution include adverse birth outcomes, cognitive and behavioral disorders, asthma and other respiratory problems in children, while climate change increases the likelihood of heat waves, floods, drought, malnutrition, infectious disease, and social and political instability. These early impacts can translate to lifelong consequences for the young. Children’s health and the environment is a most fitting topic for World Environmental Health Day 2015. 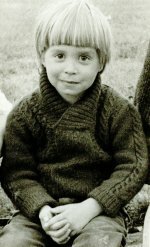 Children are the most vulnerable among us to degradation of the environment. Any actions that we take to protect infants and children against health threats in the environment will protect not only children, but will also safeguard all of us and preserve the health and well-being of future generations. Toxic chemicals are a particularly serious threat to children’s health. More than 80,000 new synthetic chemicals have been invented in the past 50 years. These chemicals are found in thousands of products that we use every day. They have become widespread in the earth’s environment. They are routinely detected in the bodies of all Americans in annual surveys conducted by the Centers for Disease Control and Prevention. And time and time again synthetic chemicals that we carelessly incorporated into consumer products with no premarket safety testing have been found to cause disease in children—cancer, birth defects, learning disabilities, attention deficit/hyperactivity disorder (ADHD) and impairment of the reproductive organs. Exposures to known and suspected risk factors for breast cancer begin early in fetal development and continue throughout life. Some relate to individual choices and lifestyle while others are encountered as an inevitable result of the way we design our communities and society more generally. In The Ecology of Breast Cancer I explored this multifactorial, multilevel complexity with an eye toward lessons learned from complex systems analysis while proposing practical interventions that may help prevent breast cancer and improve outcomes after diagnosis and treatment. Risk factors are not experienced in isolation. They co-occur and interact in complex ways, creating system conditions in which breast cancer is more or less likely—in individuals and populations. When we attempt to take this complexity apart for purposes of research or decision-making, we often miss the properties that emerge from the whole. Rebecca Solnit, in her book The Faraway Nearby, evokes Georgia O’Keeffe’s closing line in letters she sent to friends after she moved from New York to New Mexico—as well as her painting by the same title. In Solnit’s volume, gaining greater intimacy with one’s own inner topography is generated by traveling huge distances geographically, philosophically, and historically through her lyrical prose. In O’Keeffe’s painting, the stark articulation of an imagined and distant realm brings us closer in touch with our own mortality, embedded in each breath we take. And in the kaleidoscope of our every day lives, we are absorbed one moment by the horrors that immigrants are experiencing as they flee persecution and violence in their homelands, and in the next, by the heart-wrenching sobs of our own child slighted by her best friend.